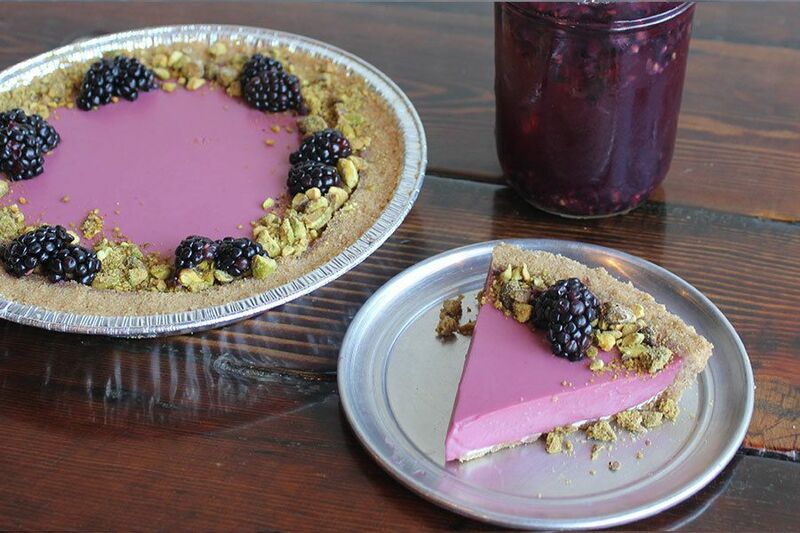 Go nuts for blackberry with the April Pie of the Month: Blackberry Panna Cotta. A graham cracker and white chocolate crust features a creamy filling, topped with fresh blackberries and crushed pistachios for a seasonal blend of heavenly flavor. Try it with the Drink of the Month, a refreshing Blackberry Mint Iced Tea.